In the run up to the Lok Sabha polls, Delhi's ruling AAP will host a rally of non-BJP leaders in the national capital on February 13 against the Prime Minister Narendra Modi-led government at the Centre. "'Tanashahi Hatao, Desh Bachao' (Remove Dictatorship, Save Country) rally will be organised at Jantar Mantar on February 13. All opposition leaders will attend this rally against the Modi government," senior Aam Aadmi Party leader Gopal Rai told PTI. It will be attended by all those who had attended Mamata Banerjee's Kolkata rally last month, he said. However, sources said, the Congress is unlikely to participate in the rally that will be attended by Mamata Banerjee and Chandrababu Naidu among other opposition leaders. With the Lok Sabha elections just months away, the rally will help to bring the opposition leaders together and firm up a 'mahagathbandhan' to challenge the BJP-led NDA, they said. Delhi chief minister and AAP convener Arvind Kejriwal had also attended the Kolkata rally, where he gave a call to defeat the Modi government. 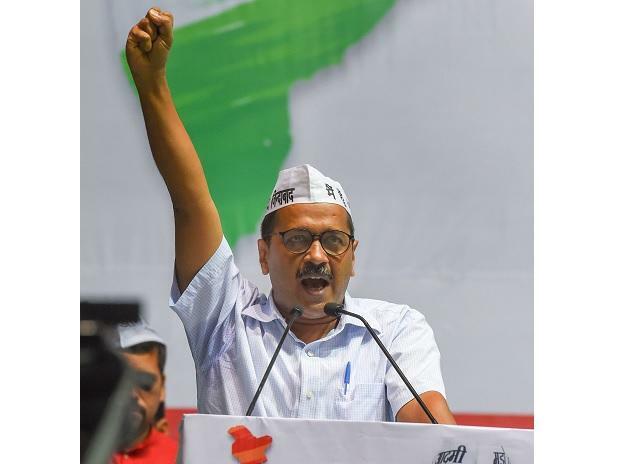 Kejriwal has been a fierce critic of Modi and BJP president Amit Shah.